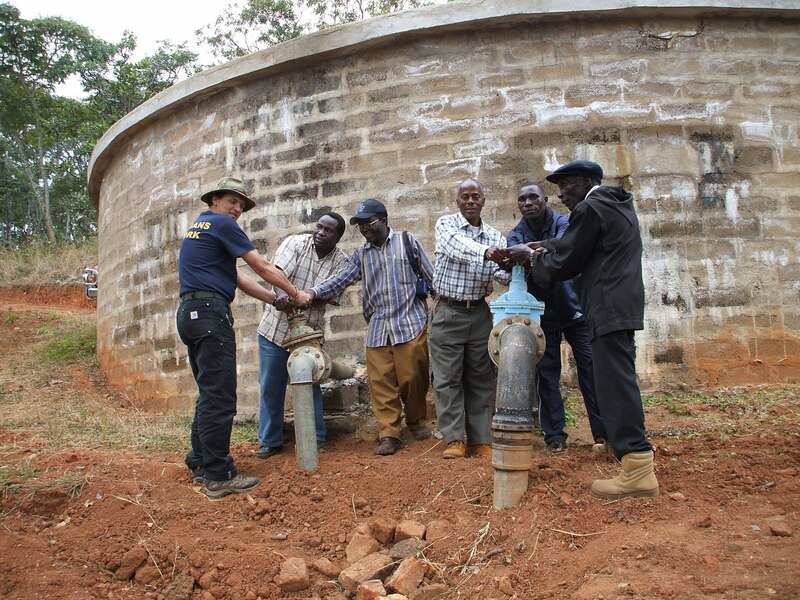 Among the most significant project St. Maurus Hanga Abbey has offered to the villagers of Hanga and around is the supply of clean water. This project started in 2004. It involved tapping water from the mountains and bringing to the lowland by gravity. The work of bringing water to villagers involve building catchment area, building reservoir tanks, digging trench of 8 kilometers, and laying pipes.Most of the work was done without machines. 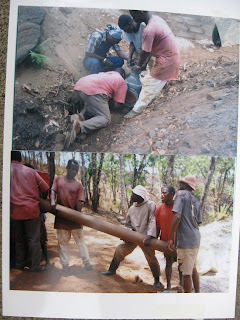 The trench was dug by hands, and pipes had to be carried on heads/shoulders to the mountains to be laid in the trench. Left: A hand dug trench to lay pipes. 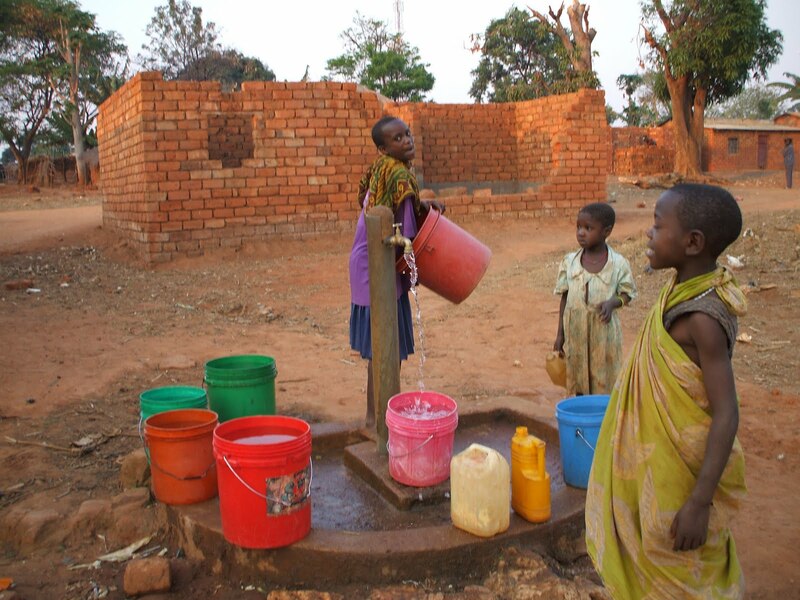 Now the water is enjoyed in five villages with a population of over 25,000 people. 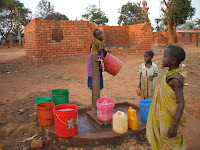 The impact of the clean water has been so remarkable. 78% of intestinal problems have been reduced. It means, out of 100 people who sought medical attention for abdominal problems before the clean water, now only 22 come to the abbey dispensary for intestinal problem treatment. Thanks to the generosity of many donors from the US! In the photo: women and children fetching water from water tap! 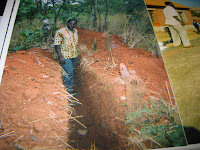 In 2011 two villages were able to get clean water. One village had water piped from an existing water system. Below villagers enjoy tap water! 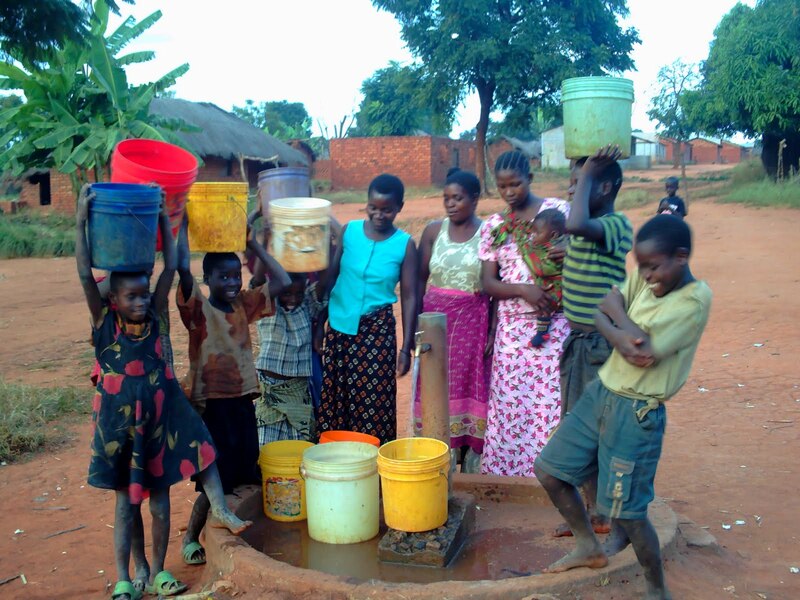 Another village had 12 wells drilled and hand pumps installed. Thanks to many donors who shared their blessings with these needy villagers.